Antero Benedito da Silva and the East Timor Student Solidarity Council (ETSSC) were awarded the Student Peace Prize of 1999 for their nonviolent struggle for independence from the brutal Indonesian occupation. ETSSC was founded by da Silva as a way for students to participate in the ongoing struggle for democracy and independence. East Timor was a Portuguese colony from the 16th century until 1975, when they gained independence. Only nine days after the Portuguese people left East Timor, the country was occupied by Indonesia. Da Silva was growing up during times of constant struggle with the Indonesian people, but he never lost hope of an independent and peaceful island. With his foundation ETSSC, he opened up student offices across the hole Island, where people could come and learn about all the benefits of an independent country. The military and government obviously didn´t like this, and were fighting these peaceful actions with all means. This led to the death of several students, just by working for an organization focusing on three principles; humanity, ecology and solidarity. 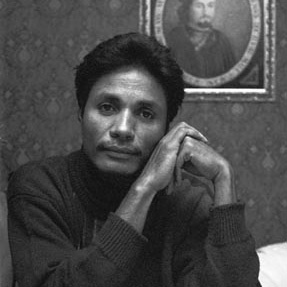 As the founder as ETSSC, Antero da Silva is seen as one of the most important activists in the struggle for a more democratic and independent East Timor. The constant work that has been done by informing people about the benefits of an independent Island, has been a huge part of the process towards independence that East Timor gained in 2002. Despite the independence, the country still struggled with lots of problems, as a result of the mass destructions in the infrastructure made by the Indonesian people before they left. Antero da Silva is a brave man, who together with his foundation helped his country towards independence.